Seven Samurai is the embodiment of everything Kurosawa has been working on throughout his career, a film that combines the best elements of the samurai and western genres to make a stunning film that is epic in scale and ambition. 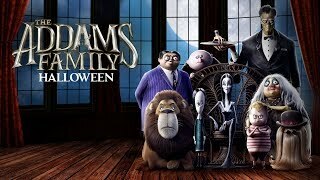 While all of us have seen classic Hollywood, Bollywood and Lollywood blockbusters, many of us are unaware of a lot of amazing movies that have been directed by foreign film industries which are equally worthy of our attention. 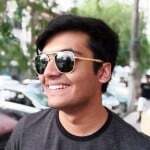 Therefore, I have come up with a list of 10 such foreign movies which I believe everyone should watch in order to appreciate cinematic finesse and art of other regions as well. Akira Kurosawa is an auteur in the broadest sense. His work has influenced many people including the likes of Francis Ford Coppola, George Lucas and Martin Scorsese. 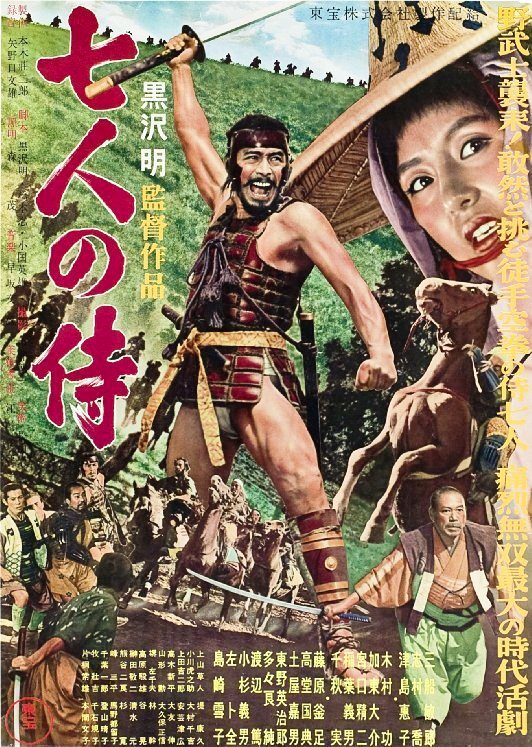 In fact, Lucas has gone as far as to say that Kurosawa’s Hidden Fortress was his main source of inspiration for Star Wars. The trailer for this movie can be seen here. A film that is likely to make you laugh and cry at the same sitting, Life is Beautiful stays true to its title and gives you a truly beautiful film. Set in Italy during the World War II, the film follows the story of a Jewish man who tries his best to protect and sustain his son with the help of humour, after his family is taken to a Nazi concentration camp. 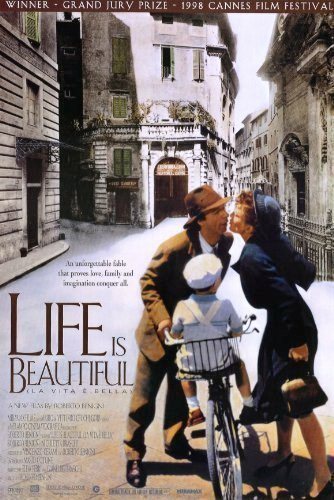 Written, directed and starred by Roberto Benigni, who gives a masterful and convincing performance, Life is Beautiful is one of the most poignant films ever made as well as one of the best war movies. 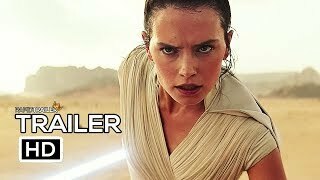 Its trailer can be seen here. 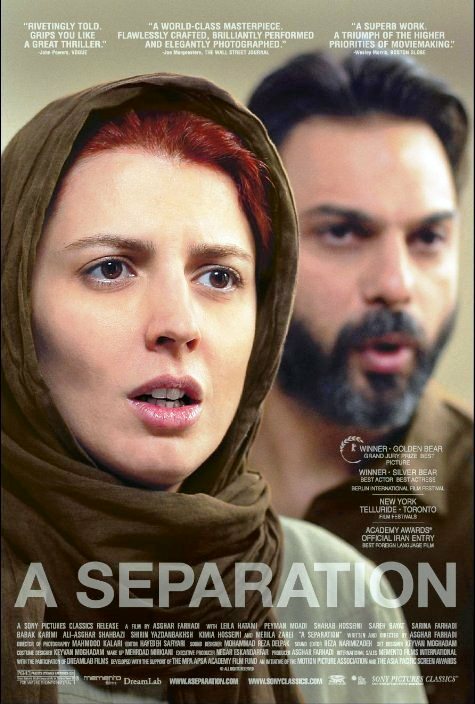 Iranian cinema has produced some great films such as Ten, Taste of Cherry, and Children of Heaven, but nothing quite like A Separation. An excellent, suspense-filled Hitchcockian drama, this movie is impeccably well-crafted and actors have put forth a superb performance. A Separation is the personification of Iranian cinema and represents how a wonderful and complex screenplay can guide a film. 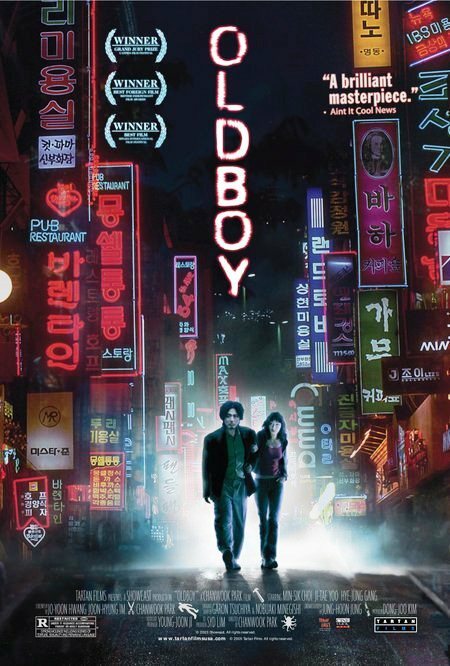 Very rarely does one see a film that operates on the same level as Oldboy. Brutal, violent, and shocking are just some of its qualities, and that is why Oldboy is one of the greatest revenge thrillers you are ever likely to see. The film has all the marquee violence synonymous to Asian cinema as well as a fantastic story. Chan-wook Park’s taut direction is instrumental in making this film great but this is a movie that thrives mainly on its wonderfully dark screenplay that keeps the audience interested at every turn. 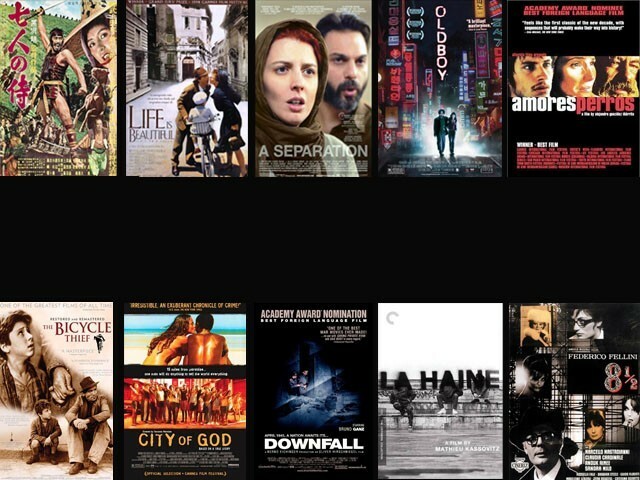 Before Alejandro Gonzalez’s Inarritu made it big in Hollywood with the likes of 21 Grams, Babel, and the most recent, Birdman, he directed Amores Perros, a film about a horrific car crash that interconnects three stories, each involving characters dealing with loss, regret and life’s harsh realities in Mexico City. 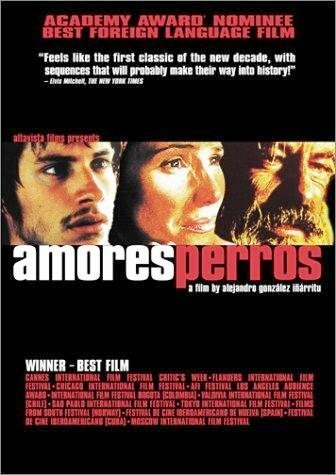 Amores Perros is all in all an extremely intense and gritty film that provided us with the very first glimpses of Alejandro’s true talent and can probably be credited for launching his career. One of the greatest films of the neo-realist Italian era, Bicycle Thief has a simple plot yet it offers a fantastic cinematic experience. 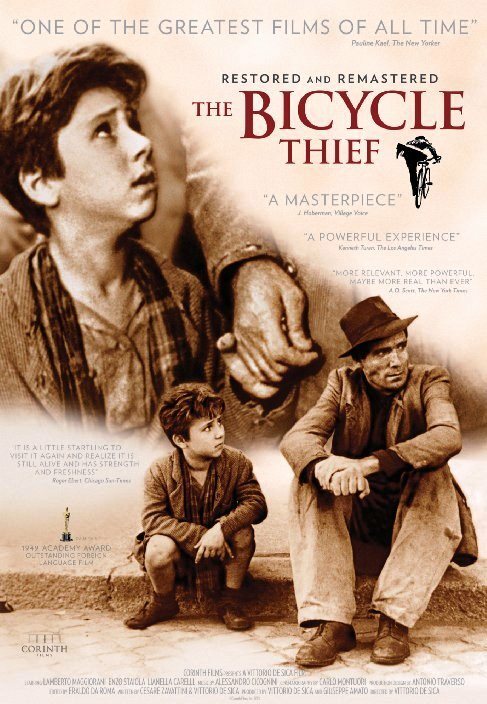 Set in Italy during the era of Post World War II, when the nation was in economic shambles, Bicycle Thief tells the story of a man and his son as they search for a stolen bicycle vital to their job. Bicycle Thieves is, without a doubt, one of the most powerful and moving films ever made and one of the high points in Italian cinema. Its trailer can be checked out here. City of God allows an unflinching look into the street life of Rio de Janeiro and the crime and poverty persistent over there. It focuses on how these aspects affect the lives of two young boys over a course of three decades. City of God’s biggest draw is the visceral nature of the film, its mix of wonderful storytelling and disturbing scenes that make the movie extremely compelling. 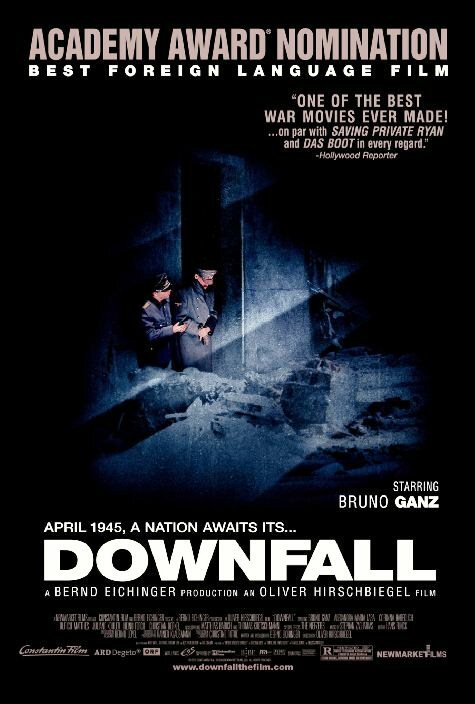 Downfall serves as a biopic to one of the most famous and controversial personalities in the history of the world, Adolf Hitler. The film offers a fascinating look into the last days of Hitler’s life as told by his secretary, Traudl Junge. It features a towering performance from Bruno Ganz as Hitler, who captures both the humane and inhumane sides of the Fuhrer perfectly. 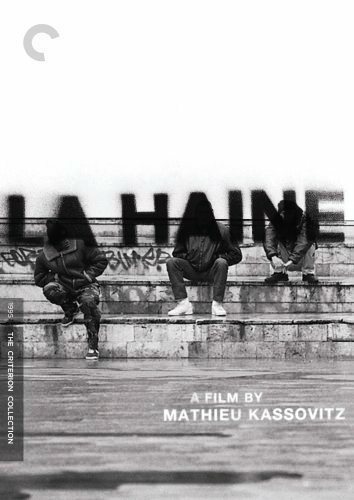 An intimately persevering film about street life and racism in France, Hate is the story of three young men, an Arab, an African and a Jew, who spend an aimless day in a Paris suburb, as social turmoil swirls around them. How they eventually face confrontation with the police is the climax of the film. Trailer for the movie can be seen here. Federico Fellini is regarded as one the greatest auteurs of world cinema. He was behind some of the most beautiful and original films ever made, such as La Strada and La Dolce Vita. However, 8 ½, is his crowning achievement. 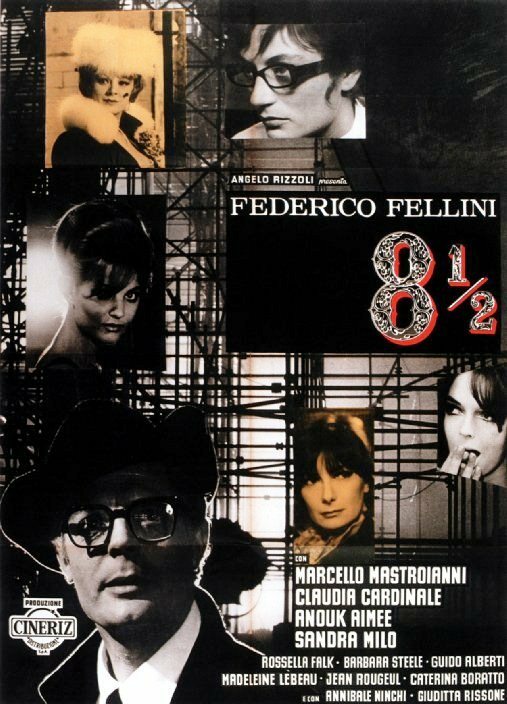 A film that served as an autobiographical account of the legendary film director, 8 ½ is a beautiful, complex, and meticulously constructed film and one of the greatest movies to emerge from Italian cinema. Art can be found in the most unconventional of places. It is always great to explore new industries and appreciate movies that are not part of the mainstream. 1959 western movie “The Magnificent Seven” Director John Sturges. Looks like you are another person who got into Korean movies……Try watching Joint Security Area,Mother,Good Bad Weird,Memories of Murder….